by nhmominchina in Before the Move! When I started this blog my goal was to write about our experience living abroad. It was meant to be a link for family and friends to stay up to date with what we were doing and stay connected to our lives. What happened next was completely unexpected. My posts were getting hundreds of hits, from over 50 countries! I would never have been bold enough to think people in Sri Lanka, Saudi Arabia, Nigeria, Mozambique, Nicaragua, Hungary or Peru would ever be interested in something I had to write about. I know people in Guatamala, United Arab Emirates, Hong Kong, Malaysia, Denmark and France so these countries were less of a surprise and thank you for reading! The top three countries were the United States with thousands of hits, Mexico and Canada. I know some of my following started in Mexico by the woman who actually became my son’s English teacher at the private school he attended in CQ. Our initial journey started eight months before she arrived in CQ and when she searched for more information about the city and international school my blog came up. Later I learned that another teacher who joined the school was also reading before she came. It was nice to hear that my blog was actually helping people before they travelled the long trek across the world! I will never know how people in the Republic of Korea, Serbia, Lebanon, Brazil, Argentina, New Zealand, Germany, Barbados, Macoa, American Somoa, and the Russian Federation stumbled upon my blog, but I’m happy they did! 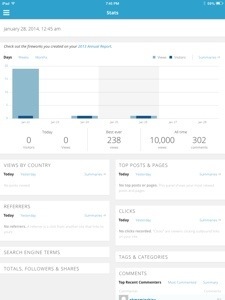 It is mind blowing to me that the journal I decided to write has had 10,000 hits! Of course some of those hits are from wonderful family and friends who were dedicated to staying connected and truly interested in what our family was doing including the good, the bad and yes, some ugly! It’s funny because just as you tend to forget the pain of childbirth, it is hard for me to recall the difficulties we had living abroad. We miss it everyday and we have thousands of wonderful memories! Please know that each and every blog reader is part of this experience. The more you read, the more I was motivated to write! THANK YOU FROM THE BOTTOM OF MY HEART! Your support was felt from thousands of miles away! More blogs to come… We left two years ago on February 8th! It’s time for a recap!! I was looking at some of my blog stats and the following was the most popular blog post of our 18 months away. It’s fun to look back to see how comfortable the city was for us when we left. We knew that Chongqing was still a very Chinese city compared to Beijing or Shanghai before we moved here and that there were not as many Westerners. What I have found very interesting is that I have not seen a single Westerner anywhere except a possible business man in the hotel restaurant. We have been told that there are over 200,000 westerners in Shanghai with about 25,000 Americans. We just found out that there is less than 5000 westerners in Chongqing. With a provincial population of ~ 33 million I guess it is easy to understand why we haven’t seen anyone who looks like us. This is not a bad thing, just an observation. Yesterday when we went to the mall area we were facinated by the Chinese children. Everyone stares at us! You actually get used to this quickly. I either do not make eye contact, or when I do I either smile or say Ni Hao. The children though not only stare, they react quite excessively. One little girl went nuts when she saw Ella. She was pulling excessively on her mom, pointing and speaking excitedly to her mom. One little boy came running out of a store screaming over his shoulder for his mother to come. He stood in the entry of the store watching excitedly as we walked by. When we were in the grocery store two preteen girls kept pulling each other to walk past Will. That was actually quite cute and something I am sure preteen girls in Londonderry would do as well! I am so thankful that no one has approached the kids to take a picture with them. We had been warned that this could happen and that we may have to say “no thank you” and walk away. Many people have made comments about the kids, but no one has touched them or tried to take their pictures. I think the kids would be ok if this happened now, I just didn’t want it to happen right off. I actually made them both wear a hat the first day we went out for a walk. Ella has been more emotional about this adventure and I didn’t want to freak her out if I could help it! The area around the hotel is not the most desirable. There are lovely areas in the city, but I am not sure they are in walking distance. We did take a walk today to get out and get the kids moving and it was facinating. Will didn’t seem to like the walk, he seemed a little freaked out. One of the comments he made when we got back to our room was that a lot of people here smoke. I did smell smoke several times, but taking in the sights left more of an impression. There were several people selling things on the street and on the cat walk areas we needed to use to cross the busy streets. They sell the an array of products. Some people were selling elaboaratly cut fruit, some were selling belts, movies (I am assuming pirated) there were some foods that looked fried and I have no idea what they were. We will probably not take this walk very often, but it directly connects to the reason why we wanted to make this move. Our kiddos whether they like aspects of this adventure or not are seeing how people live in another part of the world. It was funny, the entire time we took this walk Ella was talking non stop like a comedian. She kept saying “this place is too much like Londonderry, why didn’t you move us some place that was more unique.” Everything we past she would say, “Oh come on, I have seen that in Londonderry before, or we have that same thing on Owl Road.” We were actually all amused by her chatter and I am hoping this wasn’t her coping mechanism, but an actual learning experience! One of the other things that has been interesting to talk to the kids about is the language barrier. I think there is a new fasination for them about language in general. We have spent a lot of time talking about languages, English, Mandarin and others. They keep saying that they wish they knew what we sound like when Chinese people listen to us. They have actually become more intersted in learning Mandarin because they are seeing the reaction of the people as we respectfully try to use their language. As I am typing this Will and Ella are watching a Chinese cartoon. They are usually searching for words that they may actually know. I cannot imagine Westerners coming and not at least trying to learn the language. Chip and I start our language training this week. I am nervous to start formal training, but I am dying to be able to communicate. I guess the kids start their language training this week too as Mandarin is a class they will take everyday. I must say overall in the only three full days that we have been here we have already taken in many aspects of the city. Living in the hotel has probably been a good idea because we are not stressing over where (or what)we are going to eat or how to work the washing manchine. We are spoiled with a lot of quality family time to be able to digest this together! Tips on being an expat…. I needed some perspective. I’m not thrilled in the way it was delivered as it makes me very sad, but perspective I now have. It has been months since my last blog post, mostly because I didn’t know how to write it. It has been harder than we expected coming home for a host of reasons. I have rewritten the start of the blog at least ten times. There is of course loads of research on repatriation and I believe we are quite typical with our return and the difficulties we’ve been having. We miss CQ, we miss our friends there, we miss the life and all of the positive things that went a long with it. We have been feeling like a puzzle piece that doesn’t fit in here, in our home town. It is really hard to explain this to people, being careful not to offend anyone. It really isn’t possible for people to understand why our return has been difficult unless they to have been expats. Interestingly, there are a few expats who I have been in touch with who are feeling the same way. So a couple of weeks ago on Facebook a woman I graduated from high school with said she was taking her husband to a surgery in Boston. This woman and I have never been close friends, but it has been fun getting to know the adult that she is on Facebook over the last several years. We’ve discovered we have several things in common and even had fun instant messaging all night during one of the presidential debates several years ago. I have learned that she has a really cool and smart daughter who loves a good book as much as I do, that her husband and her stand strong for what they believe in, they both have a great sense of humor and they are both hard workers. That being said, I also just learned that her husband went in for one surgery and what doctors discovered was stage four cancer that is inoperable and incurable. In the last week I have thought of little else. What I do know is that life is short and always changing. My family spent 18 months doing things few people will ever do. We traveled, we learned a new language and how to survive in culture that wasn’t ours, we spent time with new friends and lots of time as a family. We loved it! We don’t know what life will bring in the future, maybe another chance to be abroad and maybe not. One thing that hasn’t changed is that have a wonderful family and friends who are there for us to support whatever we are doing. Whatever struggles we have now are temporary, we will get through them. The struggles we have now, are because of an experience where memories were created that will last a lifetime. If you are sitting around the week after Thanksgiving, send some positive thoughts, prayers and vibes towards Disney Land for a family to have the trip they are hoping for, the trip of a lifetime. Two years ago today my husband and I landed in Chongqing, China for our pretrip. This was the introduction journey to see the city, pick out a place to live and get a first glance at where we would be relocating. Without exaggeration, this week had to have been one of the most stressful of my life. I left my kids (in good hands) and flew half way around the world and landed in what felt like at the time, another planet. I constantly think about our 18 month adventure and here are some tips for you if you are about to make a similar move! 11. If you are planning a pretrip meet up with other foreigners on the trip! We were the only expats for my husband’s company so there were no foreigners to meet, so if this is the case for you, seek out families from the school your children will attend. Ford is a big company in CQ and the families are now having dinner gatherings for people on pretrip! What an incredible opportunity to ask questions and put some concerns at ease. Once you have picked a school for your children then you can also ask for emails for other American moms that are willing to answer your questions. 10. Leave your judgements at home. You have left your society, your customs and your culture and entered someone else’s. Accept everything that is new here. You may not like it or get used to it, but if you don’t accept it, it will cause you hours of wasted frustration. We decided we would laugh it off. When someone held one side of their nose and blew the other side onto the street, we would laugh…only to each other of course. When someone let their child poop in the street, we would laugh, not at them, but at the extreme culture difference for us and a little laugh is a whole lot better when dealing with something so foreign to you! 9. Meet and befriend local people! If you do not extend your friendships beyond your own culture then you are limiting your experiences. The best way to get to know your new surroundings is to explore it with a local! 8. Learn the language! This may at times cause you extra frustrations, but as you acquire the language and feel empowered by speaking it the frustrations will be few and the ease of living in your new environment will be….awesome. 7. Get involved. There is bound to be an International Women’s group or if you have kids, a PTO group at school. Your calendar will fill up before you know it! 5. Eat out! My husband and I have been together twenty years and in the last eighteen months we ate out more combined than the last twenty years! Eating out is a social experience. It was actually something “to do” in our city. When you are stressed at times about what to cook because of limited cooking supplies just say “screw it, let’s go out or let’s get take out.” We ate out several times a week, most often with another family or many other families. It became a play date for everyone. 4. Find a person or two who are “yours.” You need to find your “go to” person. You will become part of a group quickly, but you need to have that confidant that you can share everything with. That person that you can talk to daily, grab lunch with, share frustrations, have them put you in your place or commiserate with you! 3. Resist the urge to say “this isn’t how we would do it at home!” You are not at home and no one wants to hear how it is done there! 2. Explore, visit, and travel. In our city the only way to survive was to get out, but wherever you are this is probably for a period of time so take advantage of it! If you stay within the gates of your compound I guarantee you will be miserable. I was often concerned about travel and the money we were spending, but I’m not now. We don’t have a single regret. We explored the country we were in and the countries around it. We saw more than we ever expected to and had experiences we most likely will never have again. Our adventure is over for now, but if the opportunity came again we would jump at the chance! It may never come again, but we are so happy we took advantage of it the first time. If you are an expat don’t set yourself up to come home with regrets! 1. Enjoy every minute or as many as you can. It is such a unique experience, enjoy the new people, culture and ability to learn something new everyday. Yes, I promise you will have bad days, but you will have many more good days, even great one! Try not to get bogged down with how overwhelming it can be. Each issue gets resolved, jump in with both feet and make it your own! Remember, it will just be a bad day, not a bad life! When in Rome…right??! 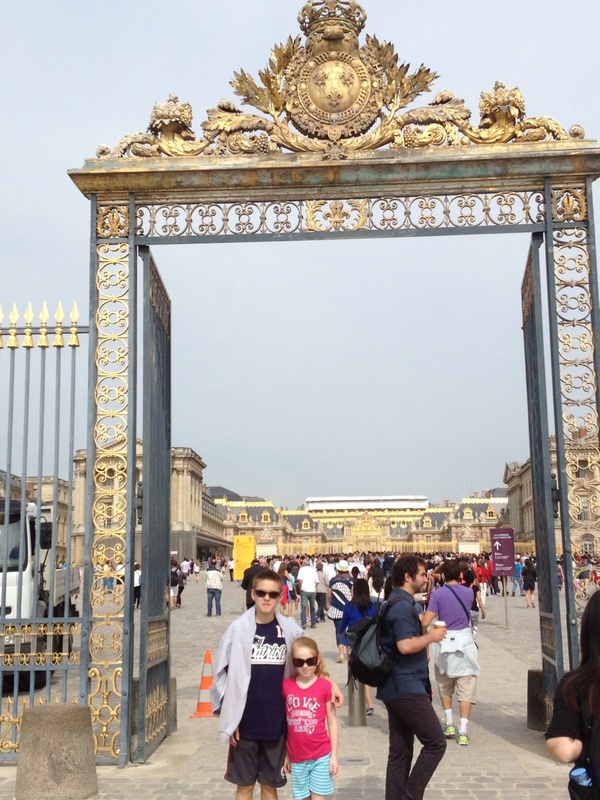 So we had to go to Versailles and the Louvre! At least that’s what we told the kids! 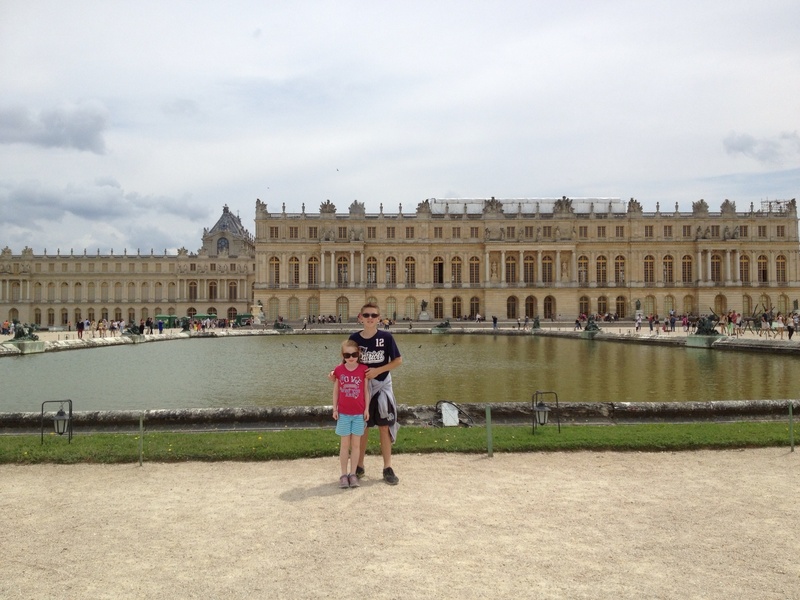 We decided we would take the train to Versailles on Tuesday morning and we were told to plan a whole day for the trip. The weather was fantastic. Thank you Paris for providing wonderful weather the entire time we were visiting your beautiful city! After breakfast on the sidewalk at a brasserie we headed into the Metro. We were quickly becoming pros; maneuvering the Metro is so easy. We were getting off at the Eiffel Tower stop and switching to the train to Versailles. We had done well getting up and out. The jet lag was working in our favor in the morning. The train was a double decker train that would take less than an hour with only one line change. Once we got to the cute little town, we had a short walk to the castle. 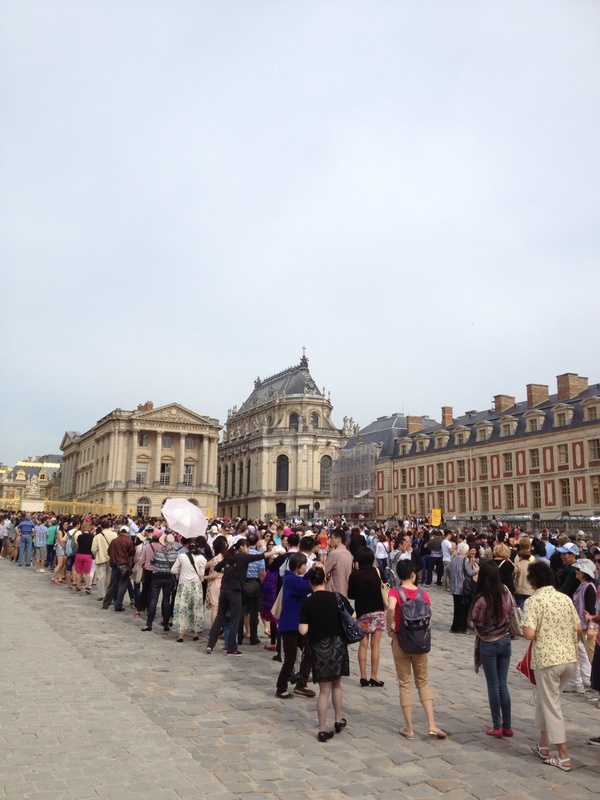 When we arrived at the gate, we quickly understood the stories about Paris lines that everyone talked about. The cue was a zigzag that would keep us standing in the sun for three hours. With each passing hour it became incredibly difficult to explain to your children why this this castle is worth standing this long in line! We did get to practice our Chinese though. Behind us there was a large tour standing with us from Beijing and of course they loved talking to the westerners in Mandarin! After three hours in the sun we were inside! We paid for the walking tour with headset so we could go room to room and hear the history. 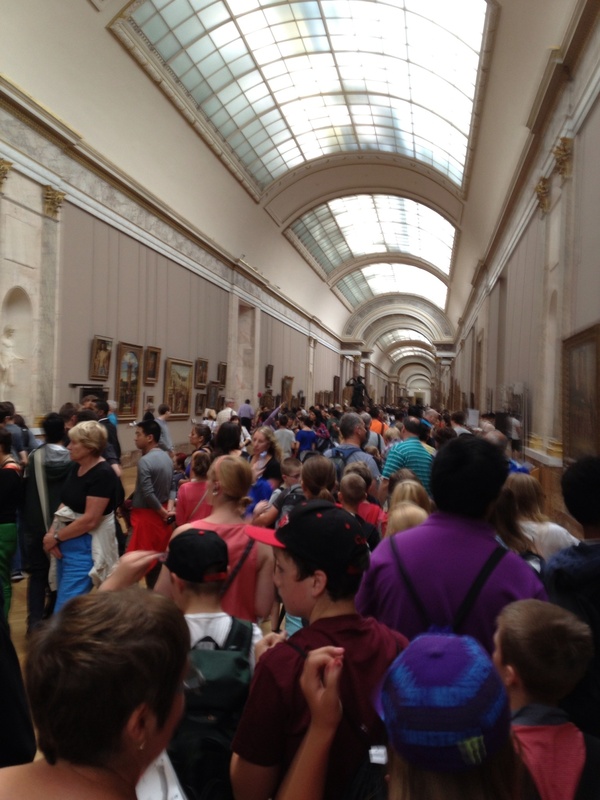 Chip and I found this interesting, but with the mobs of people and room after room of paintings and artifacts the kids had no schema to relate to, we quickly picked up our pace. 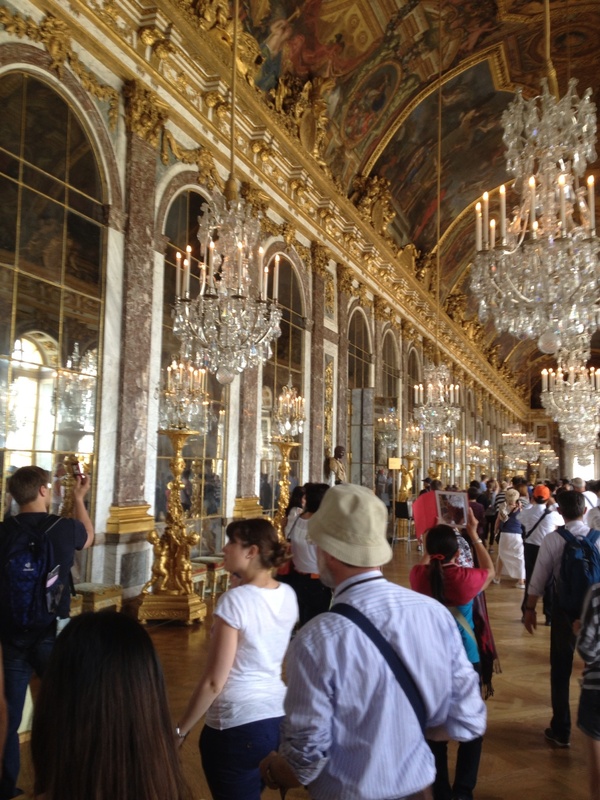 It was amazing to see, the Hall of Mirrors, Marie Antoinette’s bed and the door she escaped out of the night they were trying to behead her, the Catholic Church inside the castle! All of this was very cool, but we were all getting a little hungry and tired and luckily we found a cafe and relaxed with water, cappuccinos and sandwiches…stragegically placed…strategically priced! 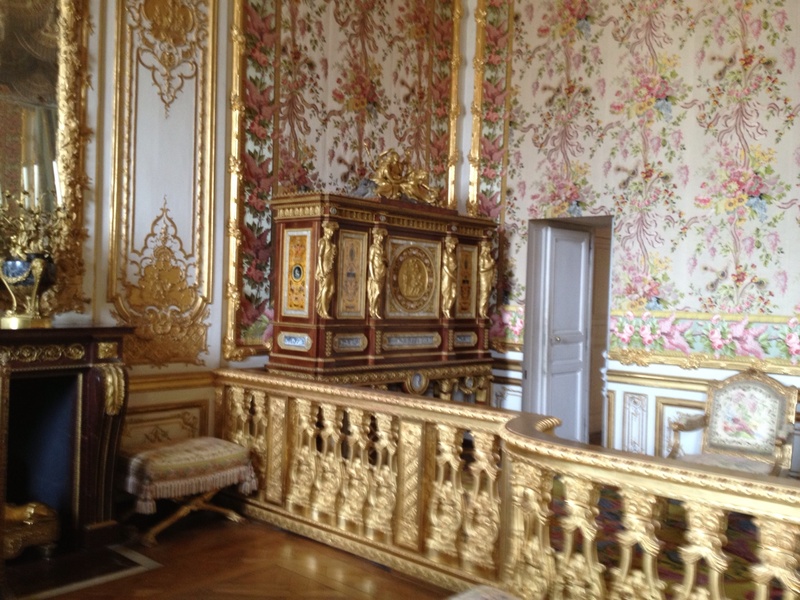 Marie Antoinette’s jewelry cabinet and door where she fled the castle. 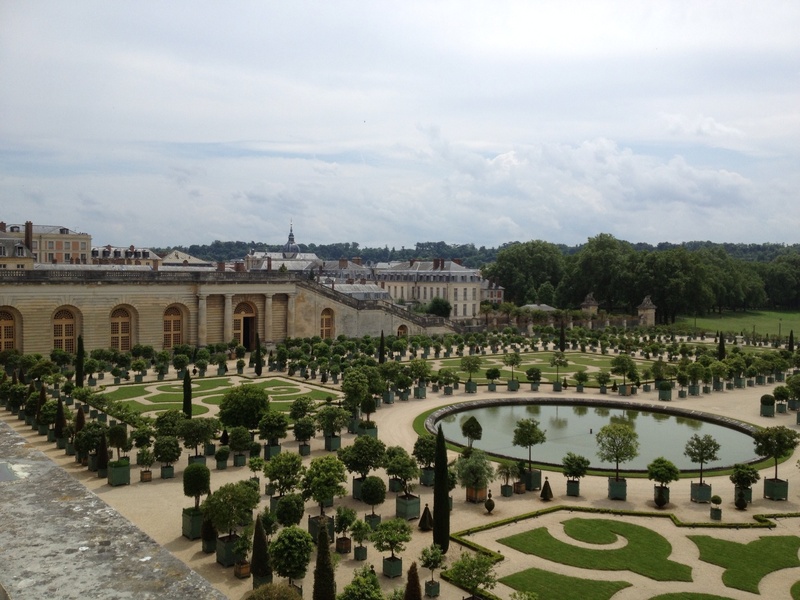 Just one of the meticulous gardens and the side of the castle. After we finished our tour we headed back for the train. Of course that lovely walk included a stop at another outdoor cafe for a glass of wine and ice cream for the kids! Next on the list of course was the Louvre. 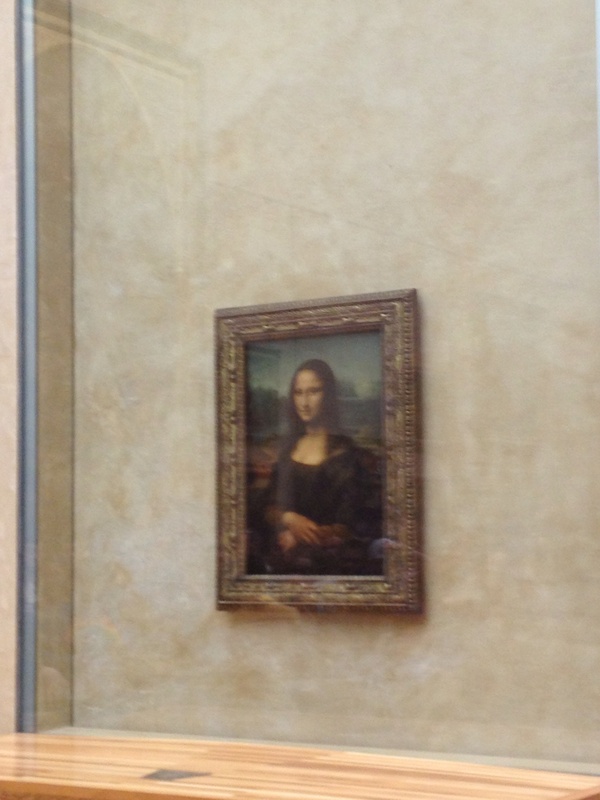 What trip to Paris would be complete without a glimpse of the Mona Lisa. We explained to the kids why they must set eyes on it. But it was tricky. Especially when that involved another line with hundreds of our closest friends! 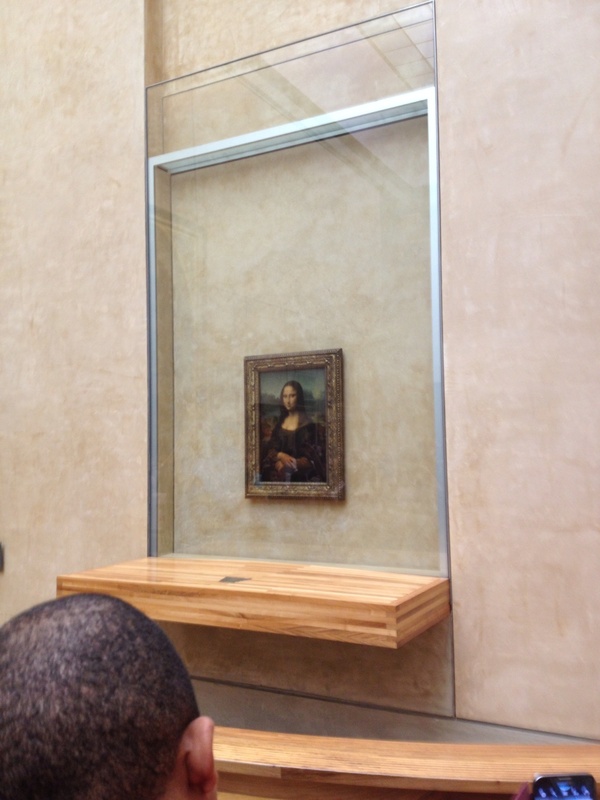 So here it is….the Mona Lisa! This is the hallway to get to it! So if I was giving advice to anyone traveling to Paris with children, decide how important these two activities are to you. We did not do justice to either of the entrance fees, but we saw these two famous and amazing sites. Our kids were troopers and we certainly know when they have hit their limit of paintings and statues. Would we visit these sites again with our kids, no, but we are happy we did it once. We would love to visit Paris again as there were plenty of places we didn’t have time to see, but overall we all enjoyed this amazing city and we are excited to visit again some day!